Duncan Middleton studied improvisation in Bordeaux and Lourdes with particular emphasis on liturgical and concert improvisation. Since 1989, he has been Organiste Titulaire at the French church of Notre Dame de France, Leicester Place, London. 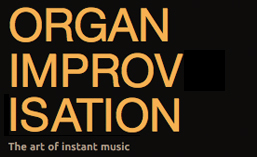 He will teach at the London Organ Improvisation Course in 2014. Includes improvisations of a 4-movement Mass, and a theme and six variations on a traditional French hymn, as well as a narrated demonstration of rare stops, the pedal divide facility, and the organ in general. Posted in Organist. Tagged Bordeaux, Duncan Middleton, DVD, film, Leicester Place, London, Lourdes, Notre Dame de France.